My fiance and I have been together for almost 6 years (we'll be celebrating our Anniversary in March), and for those 6 years we've been together we lived with each other for 5 of them. Which means unlike some couples we already have everything that we "need" for a home together. You know like dish ware, towels, etc.. Sure fine china would be nice, as of right now we live in an small 1 bedroom apartment in Brooklyn and not looking in expanded quiet yet, so there is no fancy dinner parties in our future yet. So our wedding registry might be a little odd ball (just like us!) compared to your typical registry. When thinking about a wedding registry you want to think about what life together is going to be to you both. For us, we live a pretty active lifestyle. We go to the gym and we are always out and about on the weekends. Plus, we both love to travel. We want to continue our active lifestyle once we are officially a wedded couple and hopefully as a family. 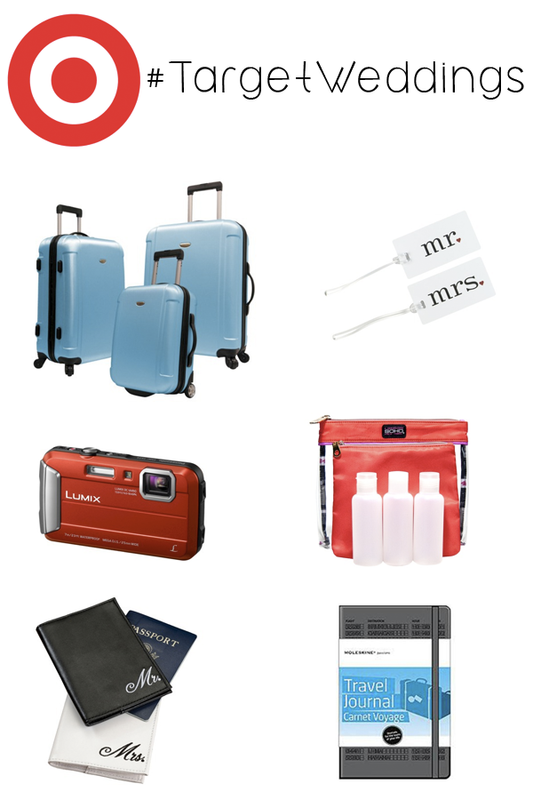 Target's Wedding registry has everything for those couples who are just starting out together and for those couples who are looking for something a little different, like us! I seriously can't think of a better wedding gift then a digital camera. This is something a couple could use time and time again. From their honeymoon to the day of their child's birth. We aren't talking about an extremely expensive camera but just a simple point and shoot that you can capture those moments with. For a couple like us that loves to travel good luggage is important. We have some pretty beat up ones and it's def. time for an upgrade! I'm such a girl, I love the Mr. and Mrs. stuff...I mean you both will always be Mr. and Mrs.. Enter to win a $25 gift card of your own thanks to Target! 1. 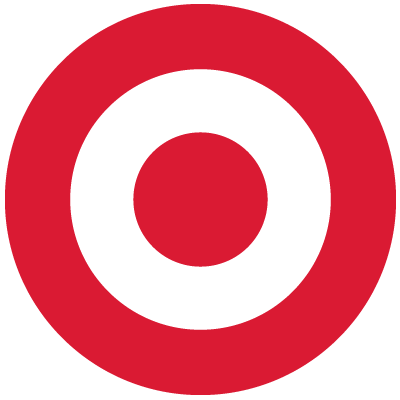 Visit Target's Registry page. 2. Tell us what your favorite product is. Leave a url link to the product. Also leave your name and email so we can contact you. Contest ends Wednesday February 5th at Midnight! I visited! Love the registry page. I LOVE the Hamilton Beach Food Processor. I have one of these coffee grinders. It is great! It works super fast in like 5 seconds, and it is easy to use! I think it is great for a wedding gift. I love these Dyson Vacuums!